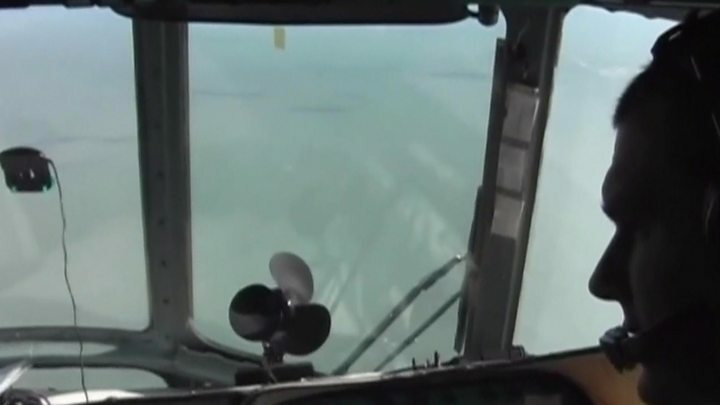 Russian air experts have begun examining one of the flight recorders from a plane that crashed into the Black Sea on Sunday, killing 92 people. 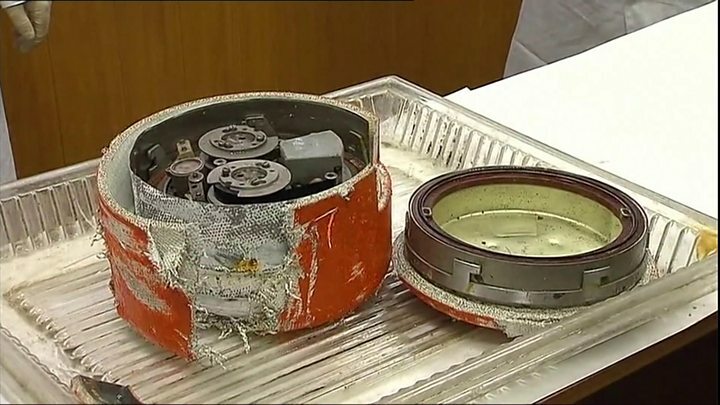 The flight data recorder was found underwater about a mile from the shore, and the authorities say it is in "satisfactory condition". At least 12 bodies have been also been recovered so far, along with numerous fragments of the plane. No cause has been established but terrorism is considered unlikely. On board the Tu-154 jet when it crashed were 64 members of the famed Alexandrov military music ensemble, as well as one of Russia's best-known humanitarian figures, Yelizaveta Glinka. It was heading to Russia's air force base in Syria where the ensemble were due to perform at a New Year's concert. The plane crashed soon after take-off from an airport near the city of Sochi, where it had landed for refuelling. It disappeared from radar two minutes after taking off from Adler airport at 05:25 (02:25 GMT) on Sunday. Investigators hope the flight recorder could provide vital clues into why the military plane came down. It is believed that the location of a second black box has also been established and it could be recovered shortly. Russian officials say an act of terror is not being considered as a possible cause. Instead they are looking into whether human error, a technical fault or a combination of factors were responsible. A source close to the investigation told Interfax the plane might have been overloaded. "Witness accounts and other objective data obtained during the investigation suggest the plane was unable to gain height and for some reason - possibly overloading or a technical fault - crashed into the sea," the unnamed source said. Another anonymous source told the Tass news agency that for unknown reasons, the plane was trying to veer right seconds before the crash, flying at over 500 kph with its nose high up. But an audio recording played on Russian media and said to be of the final conversation between air traffic controllers and the plane reveals no sign of any difficulties. The Tupolev airliner involved in the crash was an old model no longer flown by airlines in Russia but still used by the military. It was 33 years old. Mechanical v human: Why do planes crash? Russia observed a day of mourning on Monday for the victims. One woman who came to the headquarters of the Alexandrov Ensemble to pay her respects told Reuters news agency: "This is Russia's best choir. I come from the Republic of Sakha [Yakutia]. They had performed in my home town six times. "I do not know what to say. Words cannot express my feelings. Sorrow is the only thing left."